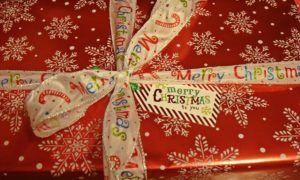 The original post for “Holiday Cheer” was published 27 September 2017. Bumping this up to today, 14 December 2017 to keep our “Elfs” in the loop. When “Plan A” doesn’t work, move on to “Plan B”. (And have Plan C, D, and E in the background, too!) We will not be “adopting” a Marine family and two single Marines after all. A misunderstanding occurred concerning required paperwork. 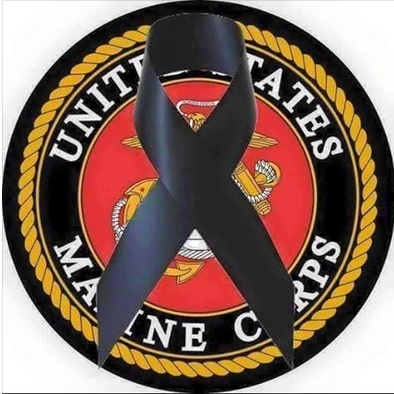 This has resulted in a formal “gift offer” being submitted to the Marine Corps office at Walter Reed on 13 December 2017 to be forwarded to the Wounded Warrior Battalion Headquarters at Camp LeJeune for approval. The offer lists specific items and their value, with the request the items are given to wounded warriors and/or their families. Rather than items chosen for specific individuals, we have offered items we think, from our past experiences at the hospital, the patients or family members can use during their rehabilitation and recovery time at the hospital. Once approval is received we will move forward. Just a note: We have submitted paperwork the past two years for this. Things can change quickly when working with the hospital. We understand this, and we’re flexible. Many thanks to this year’s “Elfs” for the Holiday cards and gifts! We are so very grateful for your support as we continue our mission at Walter Reed-Bethesda. We’ll post an after-action report after the holidays. This is your opportunity to say THANK YOU to the patients at Walter Reed NMMC and let them know they are in your thoughts this holiday season. We are very grateful to our “Elfs” who’ve helped Marine Moms-Bethesda bring “Holiday Cheer” to Walter Reed since 2007. Thank you for caring and for giving your precious time to bring “Holiday Cheer” to the patients and their families at Walter Reed-Bethesda. 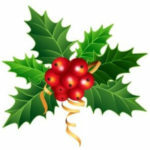 “Holiday Cheer” has been one of the events over the years that really touches the heart. Seeing support come in during the holidays from all over the country for the men and women we serve when they are so far from home is very humbling. They really appreciate your efforts. Thank you for your consideration. 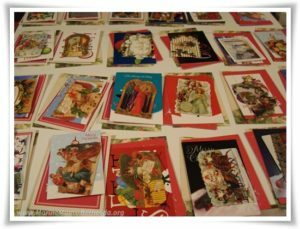 We are collecting hand-written Holiday cards to give to wounded, injured and ill in-patients and out-patients. Address is below. FINAL POSTMARK DATE is Saturday, November 18, 2017. Adopting two single Marines and a Marine and his or her family through the Wounded Warrior Battalion at Walter Reed. 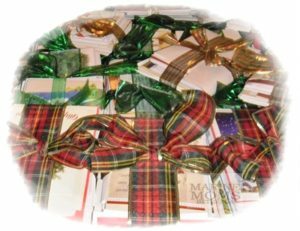 Cards (screened and bundled) and gifts for the Marines (bought from a “wish list”) will be delivered in December to our contact at Walter Reed and they’ll take it from there. Would you like to be a Marine Moms-Bethesda Elf? If so, here’s how! Card bundles will be given to wounded, injured and ill out-patients and in-patients (all service branches) at Walter Reed-Bethesda. We would like to make up a minimum of 50 packets. If we have enough cards, we’ll make up more. If there are extra card packets left from the initial delivery at Walter Reed-Bethesda, they will be distributed at other military and VA hospitals. Flat-faced cards are best. Please, no glitter or anything that can fall off and get into open wounds. They can cause secondary infections. 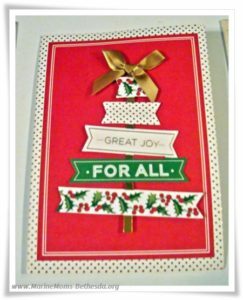 Cards with glitter, flocking, or glue that dries, cracks, and falls off, or little beads, etc., cannot be used. No need to put the cards in individual envelopes. We bundle the cards without them. Please use your first name only inside the card. For security reasons we do not pass on names and addresses to either the recipient or the sender. Please rubber band individual signatures together to help making sorting easier for us. Example: 6 different people wrote their own cards with just their own signature on it, and all of the cards are sent in one box or envelope. Please bundle each persons’ cards separately. Our “Elfs” will love you for this! Mailing address: The old “Cordova, MD” address is no longer in use and P.O. Box 22 has been closed. Please remove the old address from your address book if you still have it. FINAL POSTMARK DATE is Saturday, November 18, 2017. Please consider printing a flier to share with others at work, school, church or other places. This would be a great service project for Scouts or school, or a worthwhile activity to include at a VFW, American Legion, Rotary Club, or other meeting. The flier downloads as a .pdf. 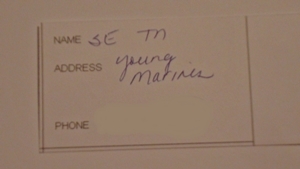 We’re adopting a Marine family and two single Marines (male and female) at Walter Reed-Bethesda. When the date is closer we’ll have a “wish list” for Santa and the “Elfs” will shop accordingly to bring “Holiday Cheer” to them. Gifts will be dropped off to our contact at Walter Reed for delivery in early December. After the holidays we’ll post an After Action Report. Thank you for helping to bring some “Holiday Cheer” to patients during their recovery at Walter Reed over the holidays while they are so far from home! Previous PostThank you, Veterans!Next PostHappy Birthday, America!